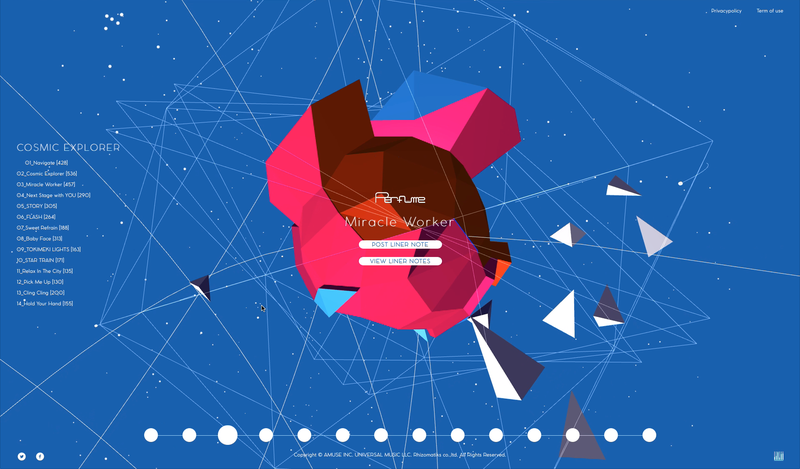 An interactive website created to promote the album COSMIC EXPLORER. The design takes users on a conceptual tour of a solar system with COSMIC EXPLORER positioned as the brilliant star at the heart of the galaxy, orbited by the 14 songs contained on the album. These 14 “planets” engage in a celestial dance, their shape and movements defined by analyzing the composition, melody, chords, tempo, and beat structure of each song. 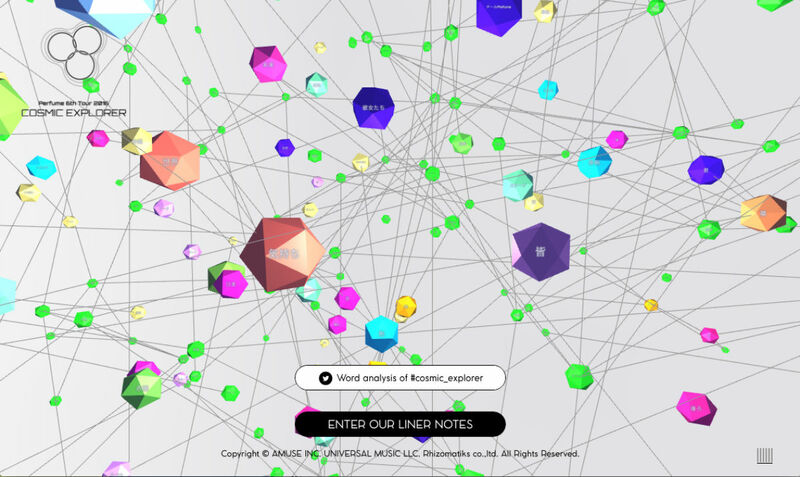 Each planet’s coloring is likewise the result of an expansive analysis of all Perfume’s music videos, album covers, artist photos, and other artwork over the years to extract a characteristic color palette. Furthermore, when users click on pyramid-shaped spaceships floating around the planets, they can read liner notes written by fans.